Clinical studies have proven the procedure promotes new cells, induces extra collagen and elastin production, increases normal skin vascularity, and rebuilds deforming collagen which is associated with wrinkles, facial/acne scars, skin tone, large pores, skin laxity, and stretch marks. PRP helps facial skin look youthfully smoother and thicker. To understand how the procedure works, we must look at each individual modality. 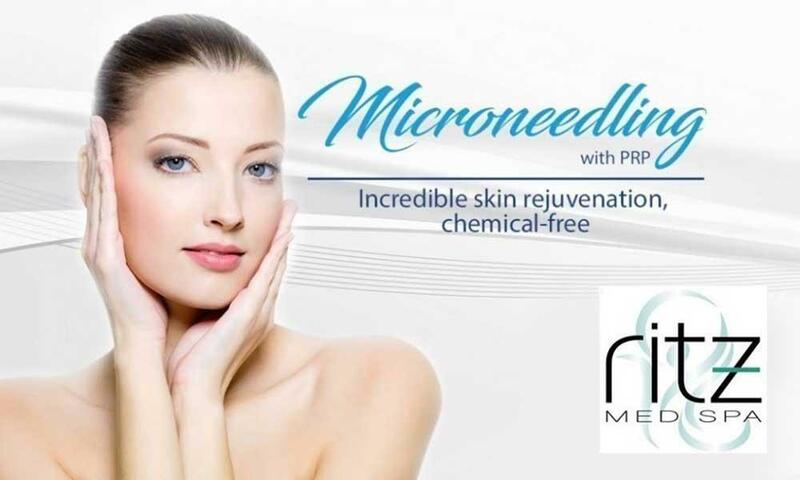 Micro-Needling is done on numbed skin with a small hand held device that makes tiny controlled punctures called a micro-wounds, or channels. These micro-wounds trigger the body to produce new collagen and elastin within the dermis, as well as in new capillaries for improved blood supply. The creation of the microchannels allows topical products to penetrate deeper into the skin than they normally would. This increases the skin's ability to utilize the nutrients. Hyaluronic acid is applied after the procedure, which supports the dermis to further create the production of collagen. Your blood is composed mainly of plasma, white blood cells, red blood cells and platelets. Platelet-Rich-Plasma or PRP is a component found in your blood. While platelets are best known for their ability to aid in clotting, they also contain hundreds of proteins called Growth Factors which help to activate stem cells and tissue proliferation. 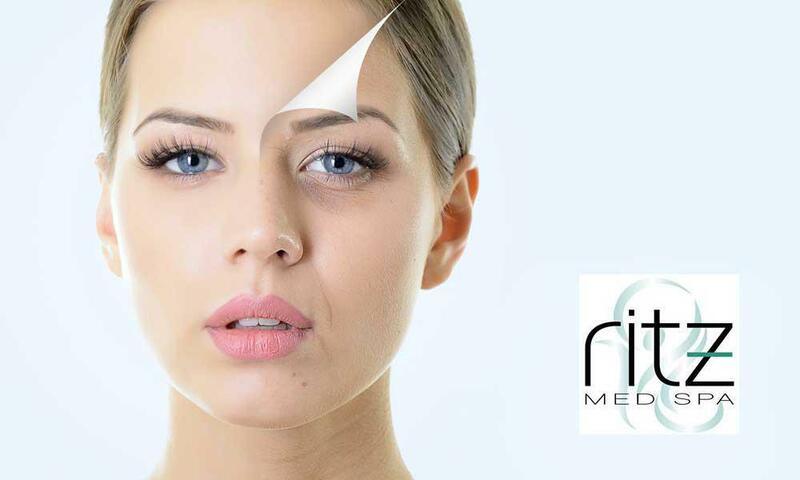 PRP not only contains Growth Factors, but also consists of fibrin, fibronectin, and vitronectin, all of which are capable of enhancing cells adhesion and acting like a matrix for your connective tissue and skin. The platelets found within your blood are the fountain of youth! PRP therapy starts by drawing blood from the patient and spinning it in a centrifuge to separate the platelets from the blood. 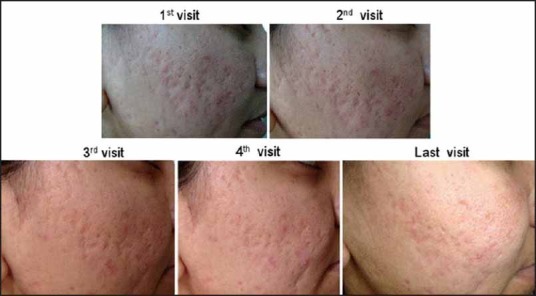 Once the platelets are separated, they are then put into the dermis layer of the skin via micro-needling. 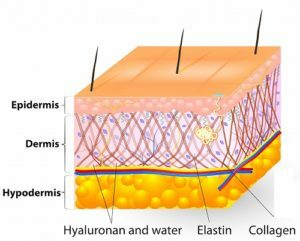 The dermis layer of the skin is where Collagen and Elastin are formed. The platelet-rich plasma is full of growth factors which can aid in the repair process of tissue, including skin. Two growth factors, in particular, FGF and PDGF, promote cell growth, tissue repair, and the production of new collagen and elastin. Studies have shown that combining these two procedures result in a facial rejuvenation treatment superior to traditional facials, and if repeated in a series, results can be compared to more invasive medical procedures. 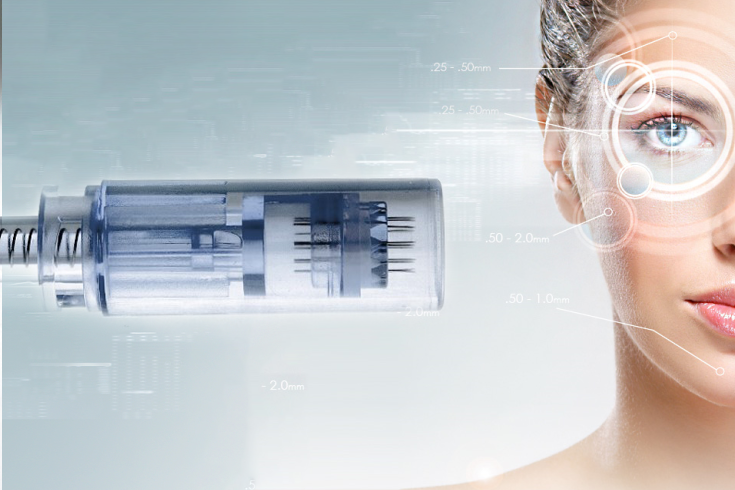 By applying the PRP to the micro-wounds, the repair process that is started is dramatically enhanced by the PRP growth factors, and further enhanced by the application of hyaluronic acid. 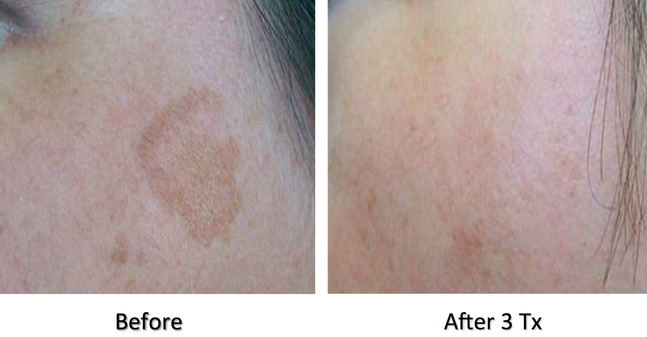 The client above had two micro-needling treatments with PRP, immediately followed with a TCA chemical peel. 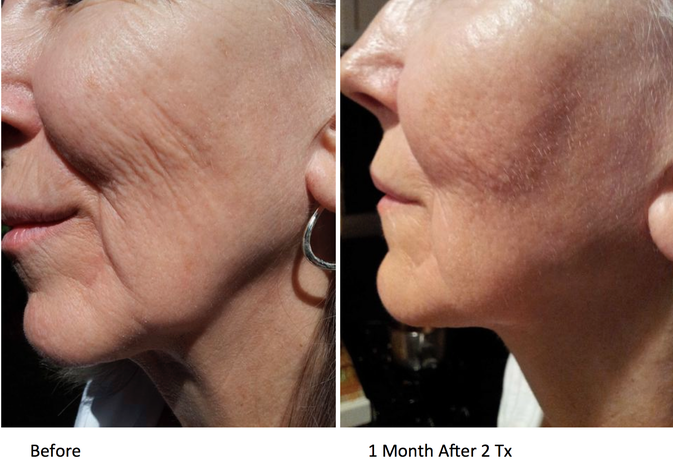 Since this procedure does not break down the epidermis, there is no scarring or down time. Your skin may appear pink with some mild discomfort for a day or two after the procedure. This procedure can also be done on virtually any part of the body - including the face, chest, hands, arms, and legs!